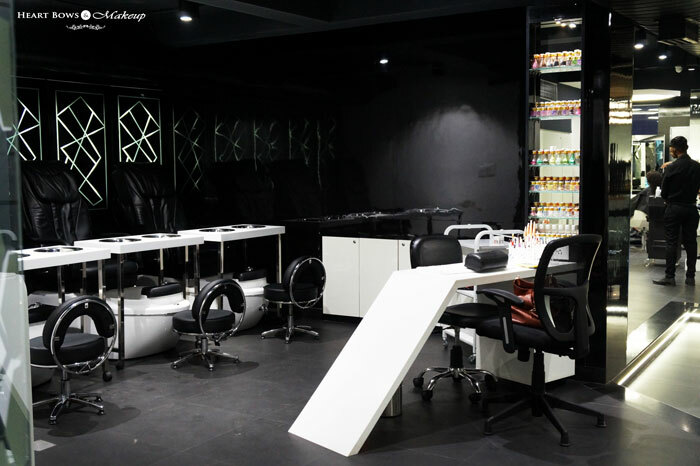 Home » Lifestyle » Neu Salonz, Delhi Review! I had such a tiring week which went on to the weekend. Recently, I attended my first concert (yeah finally) when I witnessed Skrillex play in Delhi, which is pretty embarrassing since I’m 21. Even though dubstep ain’t really my thang, I had a great time with my girlfriends. Seems like this past week was so much of a rush. Weird how sometimes you feel like you’ve been running and running and reaching nowhere at the same time. The past couple of weeks have been exactly like that for me. After all the busy busy days and nights, all I wanted to do was relax and just relax some more. 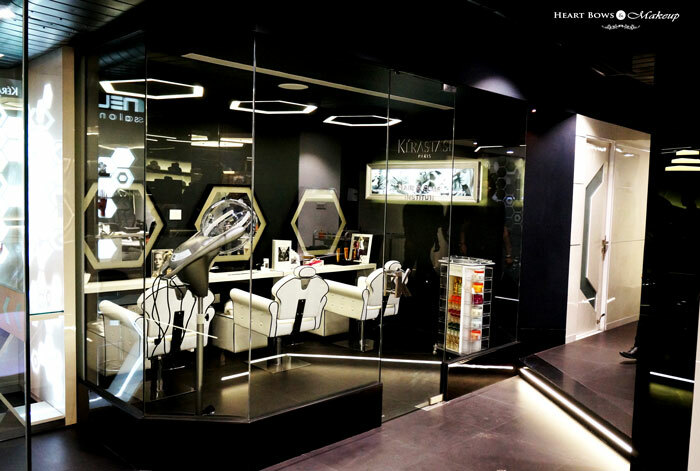 Lady luck must’ve thought the same and presented me with a relaxing day at Neu Salonz which is a leading chain of salons, very well established in Gurgaon. I walked in to Neu Salonz and was immediately struck by how trendy the décor was. Right from the flamboyant entrance with alighted black stairs to its classy monochrome interiors, the place just spells luxury. 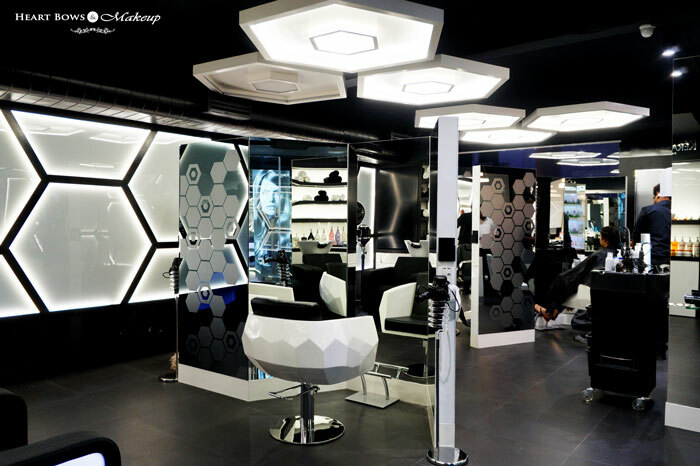 The salon loves octagons for some weird reason 😉 and I totally loved the black and white classiness that was oozing out of every corner. The ambiance was something that totally won me over. I loved how relaxed yet swanky the whole setup was and I felt like I was probably backstage at Paris Fashion Week!! I was welcomed with water and unlike other salons, was offered a whole menu of mocktails to choose from! So yeah, if you’re not in the mood for green tea or coffee you could refreshen yourself with a whole lot of other choices. 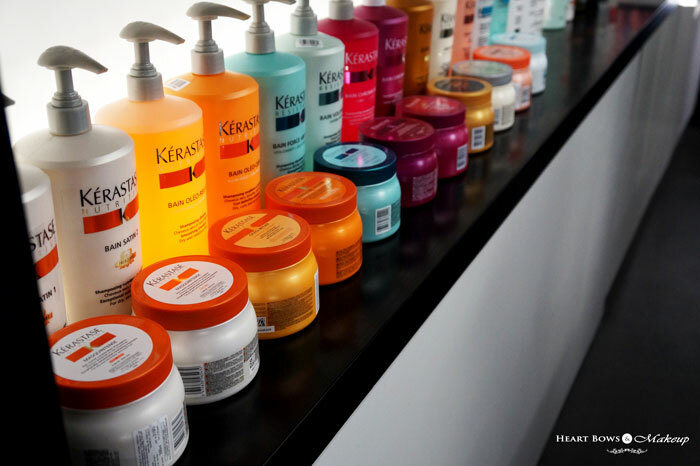 Neu Salonz offers a variety of hair and skin care treatments such as Kerastase Express Rituals, Majirel & INOA Hair Color, Comfort Care Organic Facials, Nail extensions, Nail Art etc along with many other personal grooming services for both men and women. The staff is very well experienced and know what they’re talking about!! Since I was looking haggard, I decided to go for a facial to help me relax and just unwind from all the stress. therapies. My skin definitely looked clearer and brighter which only got better in the coming days. 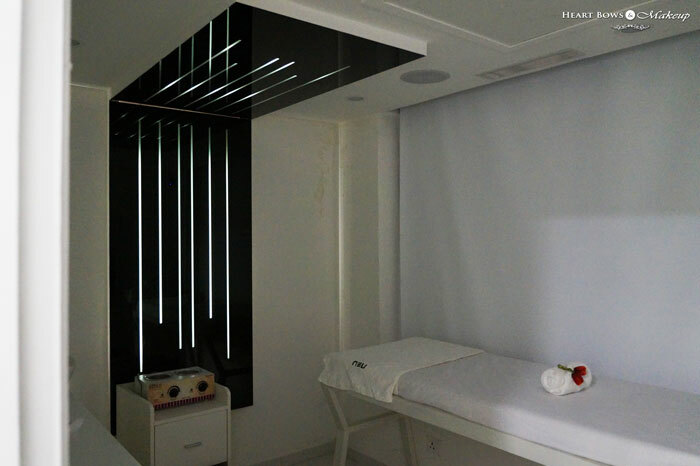 The Comfort Zone Facial costs INR 3,000 which is pretty steep but I feel a woman deserves to be pampered every now and then and this is just one of the treatments you must try out. 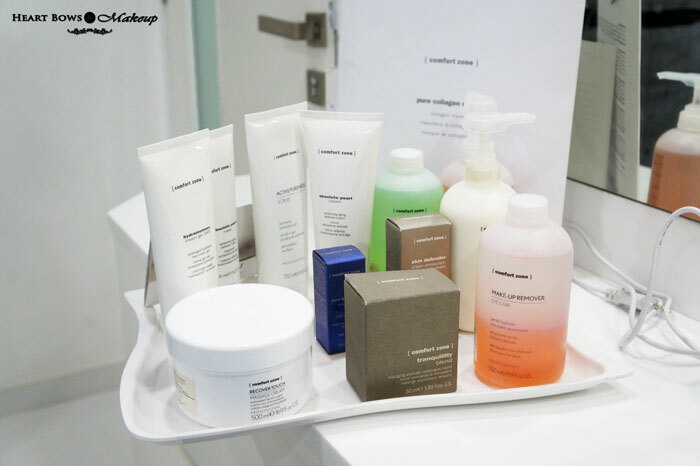 It will not only make you feel relaxed but you will also notice the difference in your skin’s texture and complexion. 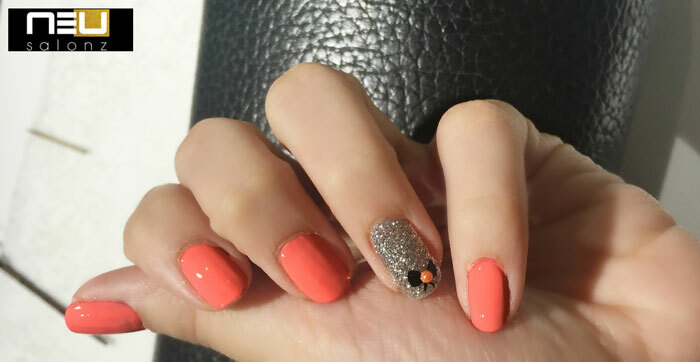 I also got a pretty nail art done and you know how much I love bows so it was only right to get one as an accent nail:D. The bright orange and the silver go so well together and of course my pretty little bow!! They also have a huge variety of options for nail art as well as nail paint brands ranging from OPI, China Glaze Colorbar etc. Plenty to choose from!! I loved how friendly and well experienced the staff was and they all have been internationally trained – by the best professionals. The décor was to die for and I definitely had the time of my life getting pampered by them. 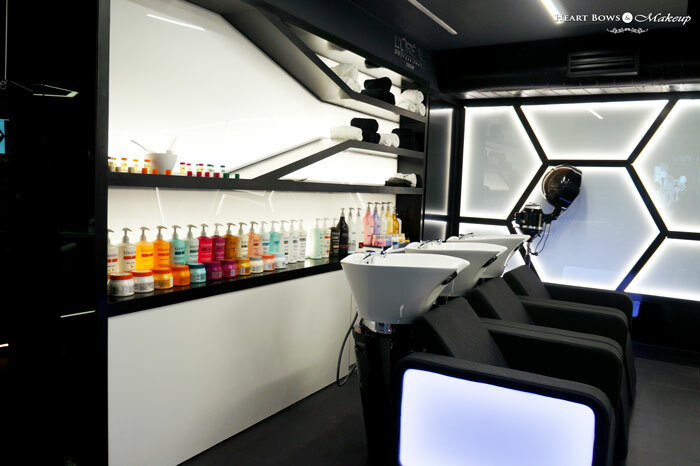 Neu Salonz is a great place to go for if you want to feel like a queen. Greater Kailash (GK) 1, New Delhi. How to Shave Correctly: Tips & Tricks!